This route, Everest Renjo and Chola pass trekking, is said to be one of the busiest trekking in Nepal. Renjo pass trekking leads to the high pass Renjo-La which lies between the Gokyo valley and the Tibetan boarder Nag pa-La. Renjo La pass and Chola pass trekking is ideal for those people who like to do trekking go through high pass but not difficult one. We follow the Everest classic route upto Namche and then we head to Thame, a beautiful village and the homeland of the famous mountaineer Appa Sherpa. There you sea a very old monastery, only one in the whole Khumbu region. This place is worth visiting in the trekking. We can also do hike up on the way to the Tashi Lapcha pass and then return to the Thame. You see the nice view of other peaks such as Cho Oyo from there. 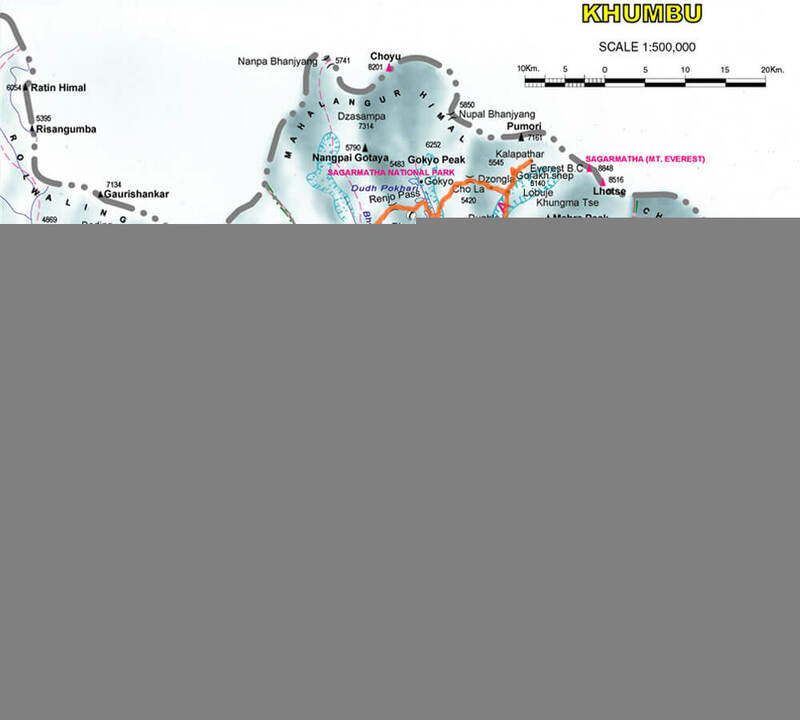 It is the ideal time for acclimatization for few days after reaching there. As it is a nice pace for hiking, you also can these free days for hiking. On the way to trek from Namche to Thame, you will come to see life style of Sherpa people and you also get chance to see Tibetan nomads along with their heavily loaded Yak Caravan. After few days’ acclimatization, we start crossing the Renjo-La which is little bit adventurous. It is not considered danger if there is no snow. It is quite challenging if there is snow. We may need to use rope or crampon for sometimes. Therefore, it is advisable to carry minor climbing equipments such as ropes, crampons and ice axe. The color of the Gyoko Lake is blue turquoise. It circles some lodges and it looks as if the painter has made a wonderful creation there. You can also have a close panoramic view if there is a good weather. 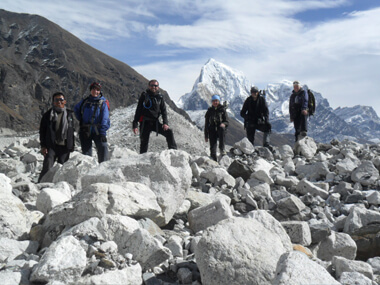 In a nutshell, the Renjuo-La –pass trek is one of the best routes for trekking in Khumbu region. 05 Trekking around in Namche and rest day. We start trekking from Namche bazaar and head towards Theme. Theme is the end of the Khumbu valley and the local inhabitants are still untouched by the modern civilization. We go past the large praying flags, Chorten and the carved Mani stones. Overnight stay at guesthouse with breakfast, lunch and dinner included with Tea and Coffee. We walk to Lungden today and the trail passes though the walled Sherpa villages. You come to notice species of flora and fauna along with unique Sherpa culture. Probably we may also share trail with Tibetan Yak caravans. This is also a trading route from Namche to Tibetan village. We will stay at a simple lodge at Lungden. Overnight stay at guesthouse with breakfast, lunch and dinner included with Tea and Coffee. Today we go to visit Nakpa valley which lies in the old trade route to Tibet. Then we go for hiking to Darkyachhulung peak. We further go to hike to Lake Cho Relmo. Then we come back to Lungden and stay there at a very simple guest house. Overnight stay at guesthouse with breakfast, lunch and dinner included with Tea and Coffee. Today we walk for six hours to reach the Gokyo Lake by crossing Renjo La pass. The trail often follows the steeply ups and downs with the sandy ridge. We cross frozen stream and walk through the dramatic rock. We will come to notice many Yak Kharkas and twin Renjo lakes on the trial. You can also have the stunning view of Kalapathar, Tengboche Monastery, chola glaciers from the top glacier. Overnight stay at guesthouse with breakfast, lunch and dinner included with Tea and Coffee. The expedition to the Gokyo peak starts early in the morning and the climb is quite steep up to first thirty minutes. It takes an hour to reach the top and you will see many traditional flags at the top. From the top, you will have a magnificent view of peaks such as Cho you (8,153m), Gyachung Kang (7,922m), Everest (8848m), Lhotse (8,501m) and further way Makalu, On the way to descent you can enjoy, superb view of Gokyo Lake. glacier Overnight stay at guesthouse with breakfast, lunch and dinner included with Tea and Coffee.